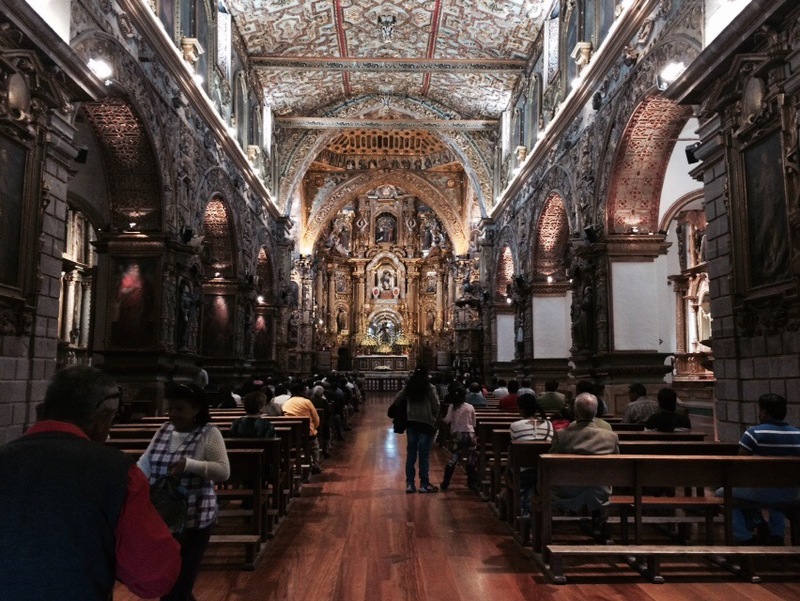 It was my last day in Quito, my last night in Bogota, and tomorrow I was going home. We started the day by going to Old Town Quito. This beautiful part of the city is full of plazas, churches, and history. We then went to an artisanal crafts store by our hostel for some souvenirs and drinks before our trip to Bogota. 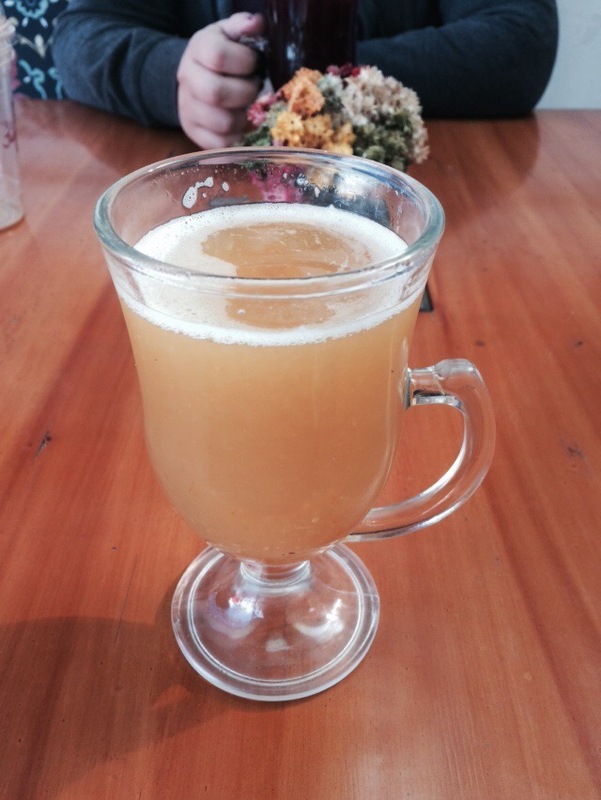 I got my hands on a Canelazo, a hot beverage of aguardiente, sugar, and cinnamon water. We then made our way back to Colombia on the infamous Viva Colombia. The take off was terrifying as we tried to clear the mountains. I never used to be afraid of flying until I had to take budget airlines. We arrived at our home base, then headed out for some dancing at a place called Andres Carne de Res. The whole experience was overwhelming. Loud music made it impossible to hear someone at your ear, the decor looked like the attic of an 80s post apocalyptic science fiction film, and the menu was an actual magazine with an index which was greatly needed. It was actually the perfect end to my journey. I was 10% scared, 30% confused, but 60% enjoying myself. In the end everything went a lot more smoothly than I had anticipated. I did far more than I thought I would and had so much fun. I can’t wait to come back to South America. I won’t lie to you, you first meal in Colombia was McDonalds. After arriving at midnight, we were starving and it was the only kitchen that was open. I like to think I redeemed myself the next morning with breakfast a a restaurant called La Puerta Falsa. I had a melt in your mouth tamale accompanied with hot cocoa. Afterwards we went to El Museo del Oro. The museum has the biggest collection of pre-Hispanic gold work in the world, and gives insight to what things were like before Europeans came. After that, we took a cable car to Monserrate which gives a great view of the city. Unfortunately it was a rainy day but it was still a beautiful sight. Finally we had dinner at a restaurant called San Alejo and had Sopa de Ajiaco. In a movie called Ratatouille, there is a scene towards the end where the grouchy food critic tastes a dish and he is sent back to his childhood. That is exactly what happened when I tasted this soup. The smell transported me back to my grandmothers kitchen. The taste lifted my spirits and the warmth was exactly what I needed on a rainy day. Bogota is a great city. There are great things to do, great food to eat and wonderful people. I was glad I was able to spend a day here while on my way to Ecuador.